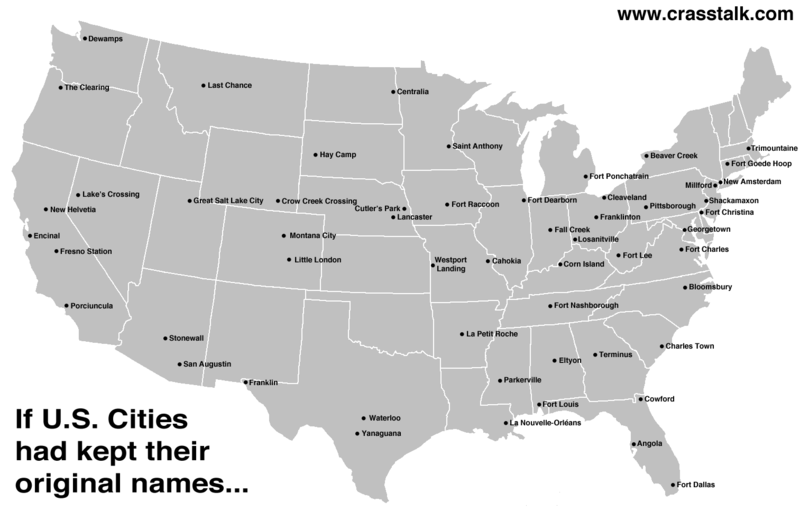 A map showing what some U.S. cities would be named if they had kept their original names. The names are not all correct. 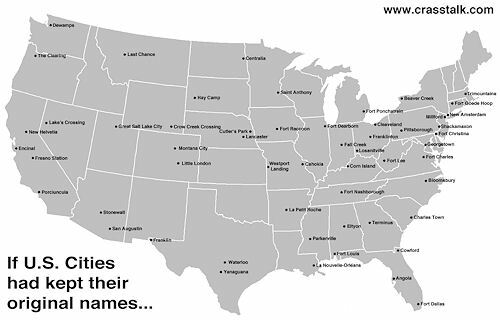 I don't know about most of the cities mentioned but I do know something about the original Dutch names. Swaanendael which is now Lewes, Delaware. Delawarean here, Would just like to acknowledge your impressive knowledge of Dutch settlements in my home state. We also had the Swedes here for awhile; all until the English dominated everyone. Cheers.. .